Assassin's Creed Origins: Innovative Twist or Alienating Departure? E3 just hit recently, and for those not in the know, that’s the biggest gaming conference of the year. All of the most prominent, big-name video game projects for the upcoming year are revealed there, and so of course Ubisoft showed up to present their material. This year, after wisely taking a year off to rethink the direction of the series, Ubisoft presented the first trailer for the newly revealed Assassin’s Creed Origins, and it has people talking- much of it has been good, but not all of it. While the game looks incredible graphically, features an Egyptian protagonist in an ancient world yet unexplored in the series, and seems promising on the gameplay front so far, some are worried about what Ubisoft has done with the series tonally. 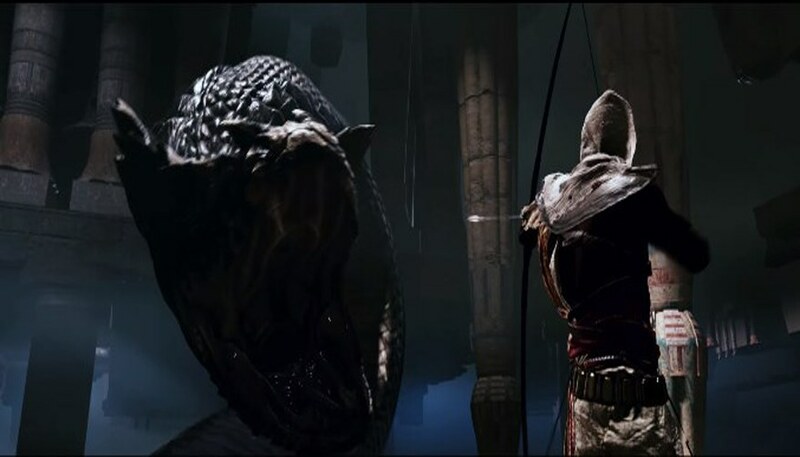 Concerns of a soft reboot were raised when the trailer for the new game featured mechanics like the protagonist using his mind to move an arrow in midair, or what looked to be a boss fight with a giant snake. Assassin’s Creed has always been a historical sci-fi fantasy series with supernatural elements, it has never been a full-blown fantasy game, and so this shift has some fans on edge. Others are a bit turned off by a seeming abandonment of the usual historical accuracy of the series, which is often surprisingly well-researched. The series’ plot, though convoluted at times, has always strived to be coherent and consistent as best as is possible while accommodating gameplay, so this is an unusual twist that may spell trouble. Landing in hay bales from high up to stay safe and wrangling alligators is one thing; battling mythical beasts is another. My personal prediction? I believe that since this is an origin story, the giant snake and other “fantasy” elements will be revealed to be a result of various First Civilization technologies, which in layman's terms basically means that it will be the result of divine intervention. This would allow for the greater fantasy feeling of the trailer to remain intact without harming the previously established lore. Really though, only time will tell for sure- an ironic note to end on for a series all about history and its conflicting developments, but a fitting one. After all, Assassin's Creed has always been known for its cliffhangers.